Welcome to Episode #09 of the Living Homegrown Podcast! 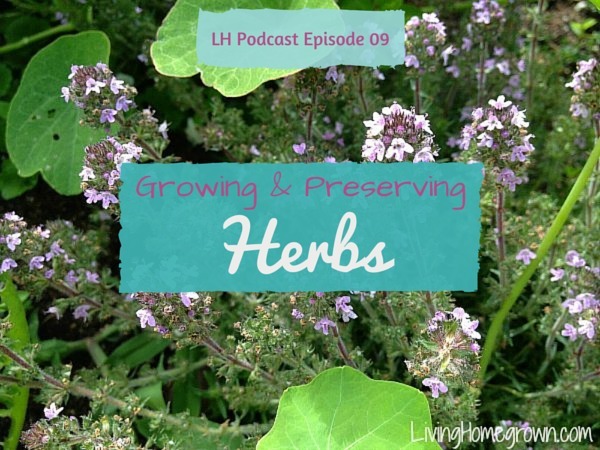 In this episode I answer a listener question about how to grow herbs. You may substitute any fresh herb in this lemon herb butter recipe. Freeze the butter by rolling into logs on wax paper and wrapping in plastic wrap. Later, defrost or use a knife to chop off a chunk of butter to use in cooking. It’s like an audio “about” page for the podcast. If you liked this episode, I would love for you to help me spread the word. There are three easy ways you can do that (listed below). Share this episode via the social media buttons below. Rate & Review this podcast episode over on iTunes. Your input there really does matter in the ranking of this show. Plus, I will read every single one and would appreciate your input there. Subscribe to this podcast on iTunes so that you never miss an episode. Do you have a canning/homesteading question you’d like answered on a future podcast episode? Ask me on my Ask Theresa page – It’s easy!